We all are well aware about the term MP3, right? It is the most used audio file format and is in great demand for its high efficiency. To play your favorite clips as MP3 in your MP3 players, you need to convert the clip into the MP3 format. Here we are going to talk over converting MPEG files to MP3 format so that your files will be compatible to the mp3 players. We will provide you two ways to for converting MPEG files into MP3. Those two ways will let you learn how to convert MPEG to MP3 online and using a desktop program. An ultimate solution to convert MPEG to MP3 online is to try KeepVid Online Video Converter. As mentioned above, it is far better and easy way than others to convert MPEG to MP3 online. Plus, you will get all that free and there is a guarantee of making your videos converted into a high-quality format. You can convert by following just 3 easy and simple steps which are adding the sources files, deciding the output and then convert it with a single click. This online converter promises to give you 100% security for converting your file without harming it and the device with any malware intrusion. 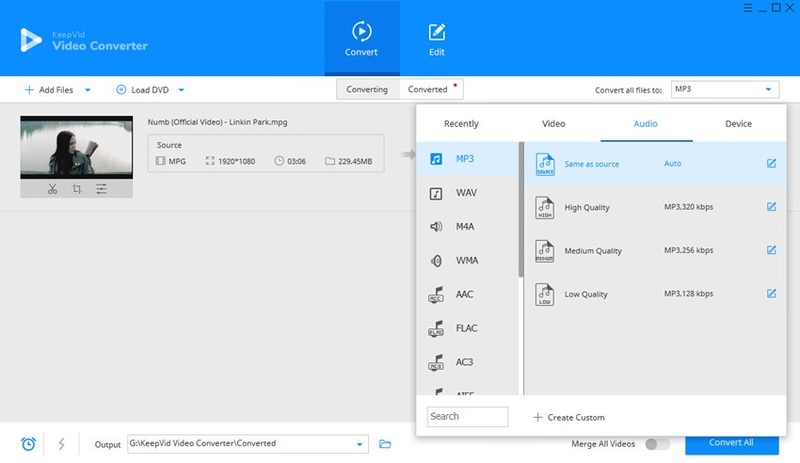 On the contrary, if you're curious about converting MP3 to MPEG files, you can also take advantage of KeepVid video converter solutions. KeepVid will help you to get the work done in very short time. When it comes to converting MPEG to MP3 other than online way, the first tool that should come to your mind is KeepVid Video Converter.  It is another creation by KeepVid which promises to offer two versions, one is Windows and the other is Mac one which makes it easy for the users of both operating system to work with this tool. KeepVid Video Converter is known to be the most brilliant and a top media file converter tool. Not just converting, one can carry out editing via KeepVid Video Converter as well. There are millions of users who have shown their favor towards this converter for its commendable work always. The features for this converter are given below. 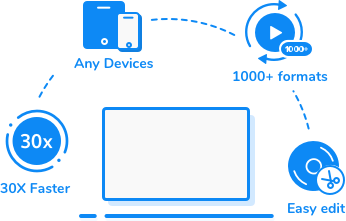 KeepVid Video Converter allows you to convert videos to more than 1,000 video and audio formats. It helps you to convert videos with 30X faster converting speed. This converter helps you to edit videos with trimming, cropping and other helpful features. It enables you to download videos from more than 10,000 video sharing sites. KeepVid Video Converter helps you to convert HD videos easily. Step 1 – Start KeepVid Video Converter and add the MPEG file from your computer. Step 2 – Click the menu icon at the upper right side and choose MP3 as an output format. Step 3 – Click Convert button to start converting MPEG to MP3 audio files. Download the KeepVid Video converter from its website. Then, install and run the program on your computer. Now go to Convert section and click on the “Add Files” button. A file explorer window will open, where you need to locate your MPEG file and click on the “Open” button. Then your preferred file will be added to the conversion board. Now, you will have two segments on the screen namely “Source” and “Target”. Under the “Target” segment, click on the drop-down icon (inverted triangle) and choose MP3 as output. The details of the output file will be shown under the “Target” section. To start converting MPEG to MP3, you need to click on the “Convert” button next to it. MP3 is a short form for MPEG-1 layer 3. MP3 was developed by Moving Picture Experts Group in 1991 and has been improvised in the late 90s. It’s an audio coding format used for digital type of audio. It is the most widely used and one of the oldest dominant audio formats out there. And therefore, is recognized by almost every audio player including smartphones, pads, and music systems.